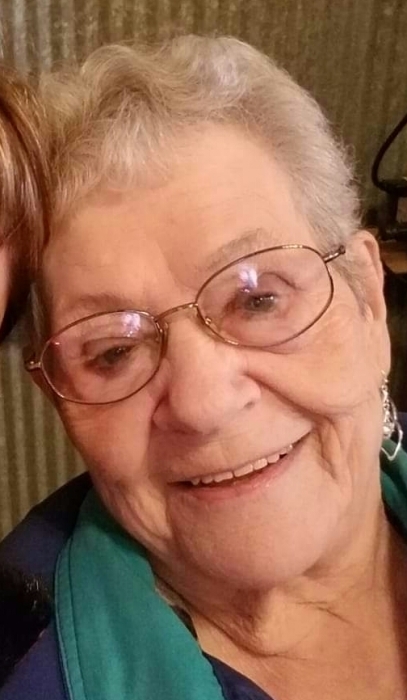 Betty L. Pudwill, age 85 of Le Sueur, died Sunday evening, January 27, 2019 at Minnesota Valley Health Care Center in Le Sueur. Memorial Mass will be on Saturday, February 9, 2019 at 10:00 a.m. at St. Mary’s Catholic Church in Le Center, MN. Visitation will be at the Kolden Funeral Home in Le Sueur on Friday, February 8, 2019 from 4:00 p.m. ~ 8:00 p.m. There will be a prayer service and time of reflection at 7:45 p.m. on Friday evening at the funeral home. Visitation will continue at the church on Saturday, February 9, from 9:00 a.m. ~ 10:00 a.m. Lunch will follow in the Church Social Hall at St. Mary’s Catholic Church. Burial will take place in the Spring at Calvary Cemetery, Le Center, MN. Betty was born on August 21, 1933 to John and Mary (Emmil) Weber near Sheffield, North Dakota, (Stark County). She married Marion Pudwill on April 19, 1954 at St. Michael’s Catholic Church in Herreid, So. Dak. Betty and her husband lived and worked all around the Midwest before settling in Le Center, MN where Betty worked at Rob Containers and bartended. Betty also worked at ADC for several years and sold Pull Tabs at Whiskey River in St. Peter, MN. Betty has lived in Le Sueur for the past several years where she enjoyed time with family and friends. She is survived by her children; Mary Jo (Steve) Meyer of Le Sueur, MN; Toby (Carita) Pudwill of Winnebago, MN; Jay (Pam) Pudwill of St. Peter, MN; Mike (Deb) Pudwill of Stewart, MN; David (Sue) Pudwill of Le Sueur, MN and Tracy (Keith) Pudwill-Mueller of Le Sueur, MN. She is also survived by 11 Grandchildren, 4 Step-grandchildren and numerous Great-grandchildren. Sister, Marcia Weber of Minneapolis, MN and many nieces, nephews, relatives and friends. She is preceded in death by her parents; husband; son, Tab and daughter, Dawn Pudwill; Grandchildren, Kyle and Kelly Meyer; 4 sisters and 4 brothers.